C-jfc is CST’s jet filter to de-dust air during material transport operations. easy access to the filtering sleeves or cartridges in order to inspect them. 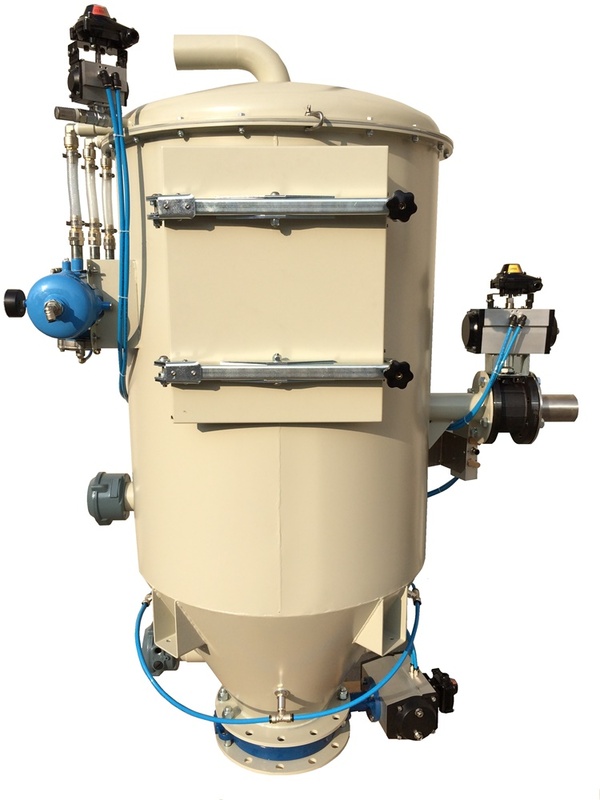 powder returns back to the hopper or silo and the sleeves or cartridges are kept clean during the conveying phase. > Easy and fast maintenance. > Sleeves or cartridge filtering elements. > Parts in contact with the product are made instainless steel AISI304 or AISI316L. > ATEX compliant if required. Mainfolds for the cleaning of the filtering elements. For the control of the impulse valves. C-rvh is CST’s vacuum conveying system. material is sucked by means of a single, double or triple stage side channel vacuum pump. integrated into all CST or existing feeding systems. > Available in different sizes. > Parts in contact with the product are more in stainlees steel AISI304 or AISI316L.